Narcotic pain relievers are opioids that work by blocking pain signals from reaching the brain, while also inducing a sense of relaxation and even euphoria. On the surface, these drugs would appear to be a gift for individuals recovering from surgery or a serious injury. No one wants to experience pain, right? Prescription analgesics, such as hydrocodone, are also, unfortunately, extremely addicting. 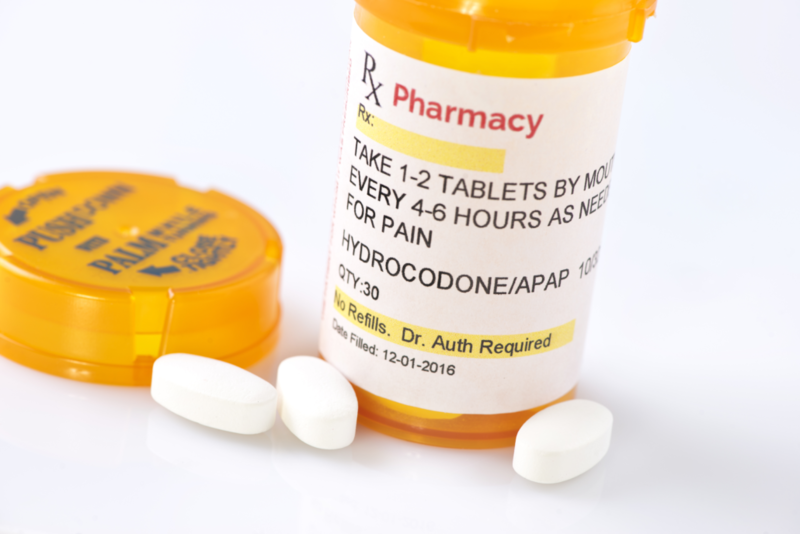 Hydrocodone is the generic pain reliever that is the active ingredient in more than 200 prescription pain relievers, including Vicodin, Lortab, and Norco. Prescribed for moderate to severe pain, the drugs do have a legitimate use in healthcare. But with an acute exposure to potential addiction, many individuals learn too late about the negative features of these drugs. As with all opioids, tolerance to hydrocodone drugs quickly ramps up as the body becomes less receptive to the effects. 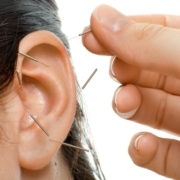 If the individual continues to take the medication, two things will then happen: The body will adjust to higher dosages resulting in alterations in brain chemistry, and physical dependency becomes established. When this occurs, any attempt to discontinue use of the hydrocodone will result in highly unpleasant hydrocodone withdrawal symptoms. When the individual decides to quit the drug it is important to have the detox process monitored by a medically trained detox team of professionals. Without this support, the difficulty in enduring hydrocodone withdrawal symptoms will likely result in an aborted attempt at detox and a return to using the drug. Hydrocodone medications often contain both the core analgesic, hydrocodone, with acetaminophen or ibuprofen. The drugs work to suppress the effects of physical pain by modifying the signaling in the central nervous system through the body’s opioid receptors. By blocking the pain signals, the individual’s perception of experiencing pain is altered, which is highly beneficial in the early days following surgery. Used appropriately and for a limited period, the drugs are very advantageous. However, extended use, which allows dependency to develop, can have profoundly negative long-term effects. When a cluster of these symptoms is present, it indicates that addiction or dependency has evolved from hydrocodone misuse. Getting professional help to safely undergo detox and withdrawal is essential. Opioid withdrawal can be a difficult process. Attempting to go it alone is never recommended, as hydrocodone withdrawal is highly uncomfortable, causing many to abandon efforts to get clean. By accessing the services of a high quality medical detox program the individual greatly increases the odds of successfully completing the detox portion of hydrocodone recovery. During the medical detox, careful attention will be directed toward the individual’s vital signs throughout the process. As withdrawal symptoms emerge and heighten in intensity, detox professionals will administer appropriate medications to alleviate much of the discomfort. Offering psychological support is also a key role the detox specialist assumes, as withdrawal symptoms also include anxiety, depression, paranoia, and insomnia. In some cases, medication-assisted treatment using Suboxone or buprenorphine can help reduce cravings, mitigate some of the withdrawal discomfort, and support early recovery. Detoxification is merely the first step in a hydrocodone recovery. Once the drug is out of the system, the individual is stable enough to begin treating the actual addiction. Addiction evolves as a result of thought and behavior patterns that, like a continuing cycle, keep the person trapped. To break free from the addiction, the individual must learn new ways of thinking and responding to triggers. Only in a treatment program can this effectively occur, using a variety of evidence-based therapies. Rehab can be in the form of an inpatient or outpatient program. The inpatient program offers the highest standard of care with 24-hour support and ongoing daily therapeutic activities. However, many who are in demanding careers cannot leave their post for extended periods, making the outpatient option a better fit. Outpatient rehab allows for more flexibility in treatment scheduling, as well as the freedom to continue working while in treatment. Once the rehab program has been completed, it is important for the individual in early recovery to continue to participate in supportive services. These include ongoing outpatient therapy or group sessions and attending meetings at a recovery community such as SMART Recovery or N.A. Executive 7 Day Detox is a luxury medical detoxification program located in Southern California. For busy professionals who desire to end their dependence on Vicodin or Norcos, partnering with a high-quality detox program offers a safe and supportive environment for winding through the hydrocodone withdrawal symptoms. Following detox, there are various addiction treatment options available that will align with the demands of a demanding work schedule, offering follow-up therapy and continued support. For more details about our program, please contact Executive 7 Day Detox today at (800) 381-0827.